My favorite super hero is Batman. I always seem to be fond of the gloomy gus characters... Eeyore's another one. Batman also has the best super power: he's rich! 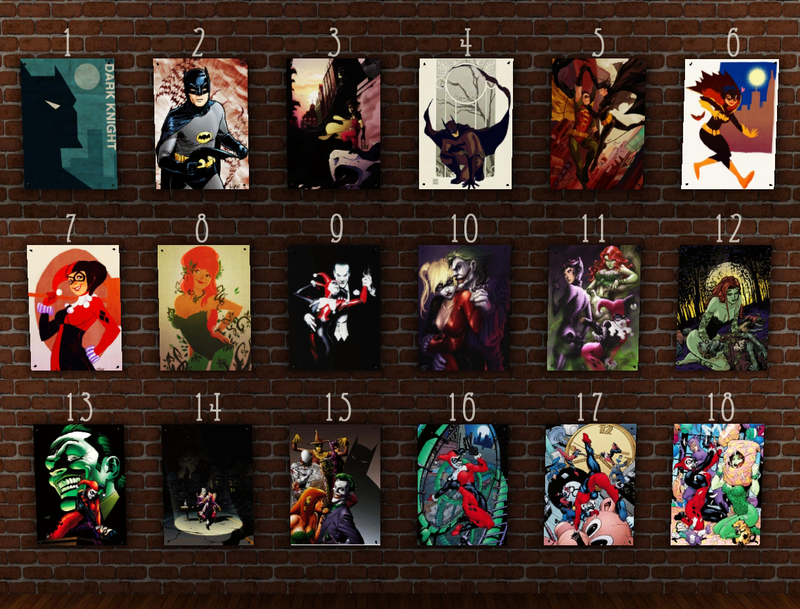 And he has the best villains (I have #9 framed in my dining room), movies, and video games. So, yeah, it seems like an easy choice to me. 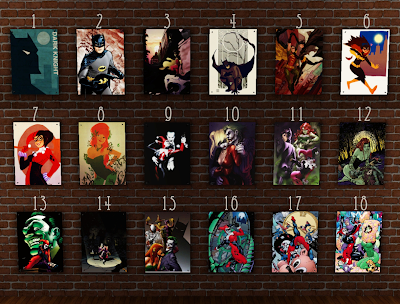 So today I'm offering up eighteen Batman-themed posters. They're all in one file, and will cost your Sims §7. As long as you're not claiming credit or putting it on a paysite, I don't care. Including it in a lot is perfectly fine with me, though a link back here would be nice. I'm glad you're back to simming :) I missed you. I'LL NEVER LEAVE YOU AGAIN! Okay, this is probably a really stupid question but this is the first I've downloaded something that wasn't directly from the Sims 3 website - how do I get these to install? I downloaded them into my downloads folder, along with all my other Sims 3 downloads, but they won't install? 12 is the cover of a Gotham Knights issue. I own it... just forgot what issue and who drew it though.